The present building was erected in 1774 but it stands on the site of the chapel of St Nicholas, dating from about 1180. The Chapel was probably erected for the convenience of the experienced Flemish merchants and farmers brought to this area by King David 1, who had created Lanark a Royal Burgh in 1140. It began as a ‘daughter’ of Lanark&apos;s original parish church, St Kentigern&apos;s, whose ruins can still be seen opposite the Market, but while the daughter flourished, the mother declined and, in 1668, St Kentigern&apos;s was finally abandoned as a place of worship. In 1994, during the major restoration of the church, the organ was removed for rebuilding and part of the flooring was lifted, exposing the original ground level. This enabled an archaeological examination to be made and, apart from a number of interesting artefacts, the specialists were able to identify the west wall of the mediaeval building and to examine the remains of some ten burials from the same period. The present layout and seating plan date from 1870. 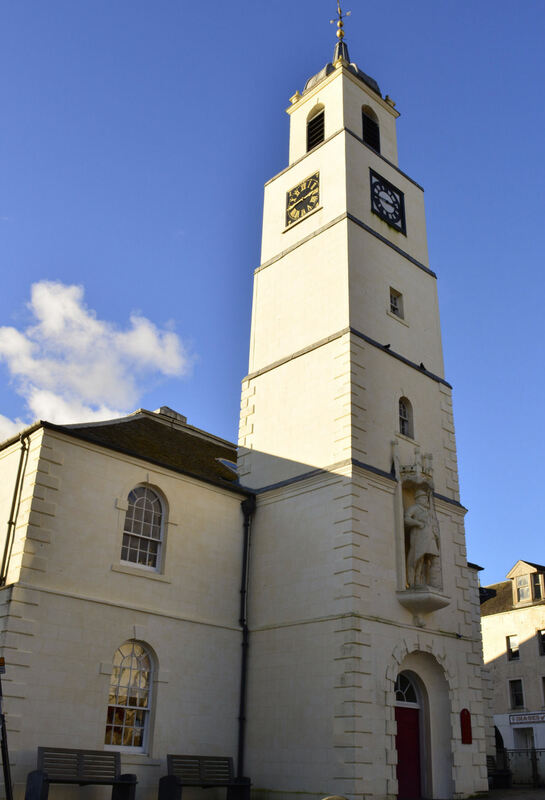 Since 1925, the church building has been owned by the General Trustees of the Church of Scotland but the tower and bells remained the property of the Burgh Council (and its heirs and successors) and so remain to this day. Originally from the Old Church of St. Kentigerns, one of the church bells is believed to date from 1110 and may be one of the oldest church bells in the world. 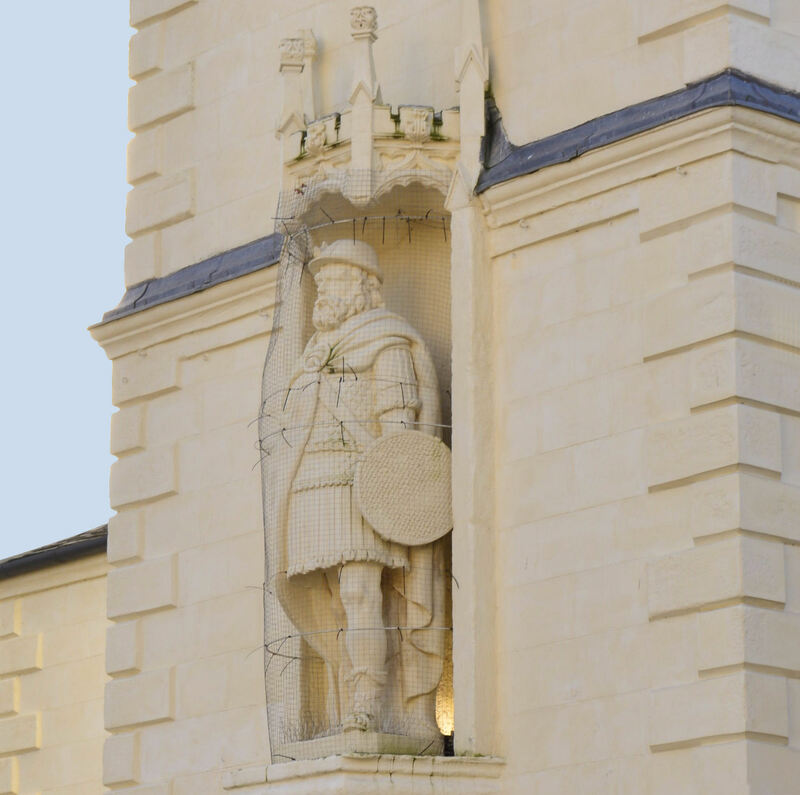 It is thought that William Wallace would have listened to the same church bell when he attended St. Kentigerns in 1296. The likeness of the statue may not be everyone&apos;s idea of the great patriot, but the folk of Lanark are very fond of him. Wallace had very strong connections with Lanark. He married Marion Braidfute in the Old St Kentigern&apos;s and his assassination of the English governor in Lanark Castle in 1297 sparked off the struggle for Scottish independence. 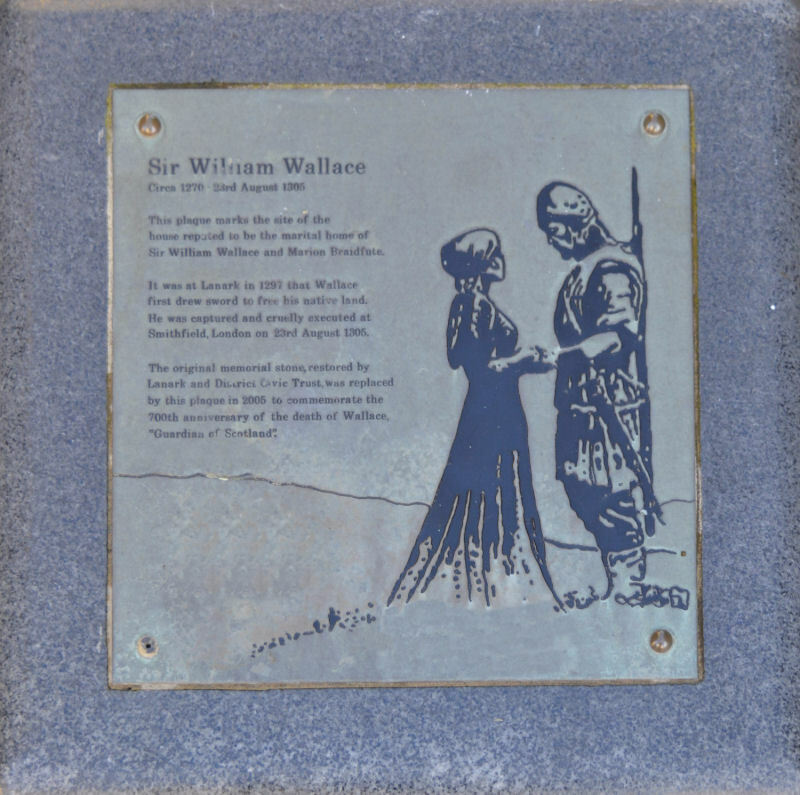 Just across from the church in Castlegate, a memorial stone and plaque have been erected to mark the site of the town house of William Wallace&apos;s father in law. Tradition has it that William lived there with his wife Marion and it was there Wallace retreated after his first skirmish with the English soldiers at St Kentigerns. Excavations inside St. Nicholas Church in 1994 showed pottery from Wallace&apos;s era as well as six graves. While the names of the deceased were unknown, being buried inside the church, they were likely to have been important within the Lanark area and rumour has it that the one female remain could have been Marion.